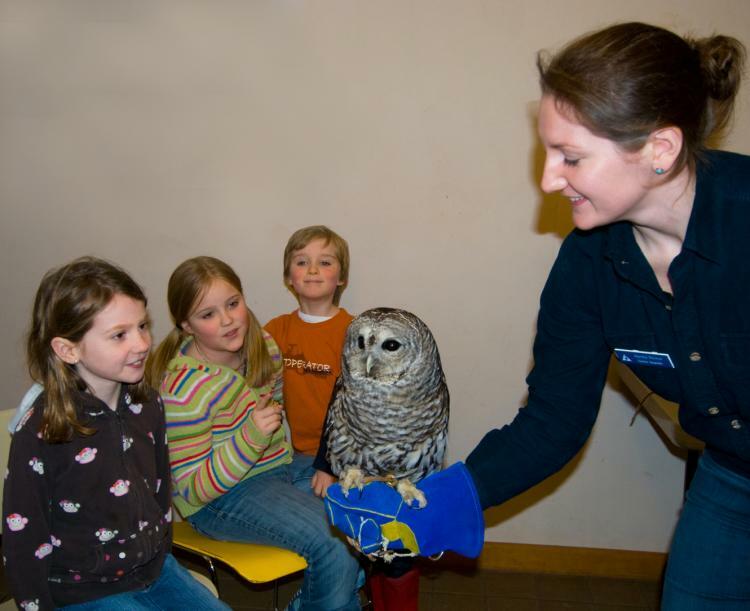 Come explore the wonders of owls with friends and family! Join us for an up close and personal view of several of our local owl species, including the great horned and screech owl. 10am show is specifically for families with younger children (Ages 3-6). The 10am program will be shorter (45 minutes) and designed for young children. They will learn about owls through a story, learn to move like owls, touch real owl wings and learning what sounds owls make. They will also meet one live owl up close. What big eyes you have! Where are your ears? How can you turn your head like that? Where do you live? Learn about them up close with the younger members of the family! Please note these programs do fill up fast, so please pre-register early!